CHICAGO (WLS) -- Mayor Rahm Emanuel announced Monday that a new state-of-the-art training facility for first responders will be built on vacant land in Chicago's West Garfield Park neighborhood. 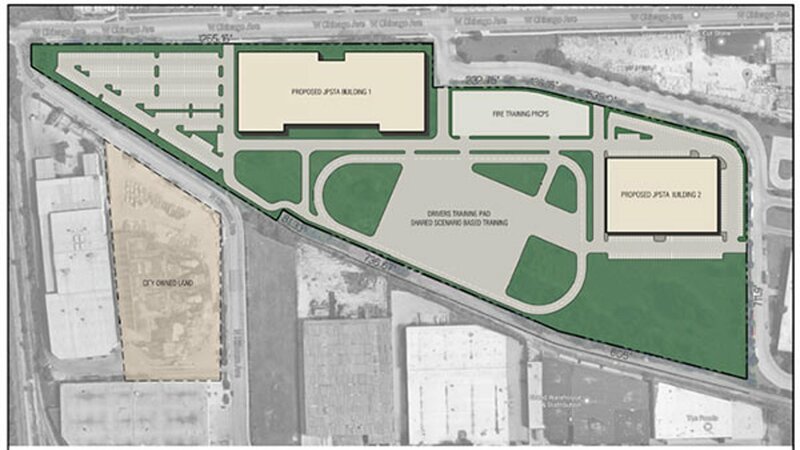 The new facility at 4301 West Chicago Avenue will be built on 30.4 acres and include multiple buildings. "Our first responders deserve the best training to take on the challenges they face every day, and they deserve best facility to learn and practice in," said Mayor Emanuel. "Chicago's new Public Safety Training Academy will provide much needed overhaul to the over 40-year-old training facilities currently used, and allow police officers, fire fighters and paramedics to receive training based on the nation's best practices." The city said the training facility will offer scenario-based training and improve teamwork in emergency situations. The new facility will allow the police department and fire department to train together, officials said. City officials said construction will begin in 2018 and is expected to take 24 to 36 months to complete. The city also said the project will create nearly 100 construction jobs in West Garfield Park.